Earlier today, it was reported that Daniel Bruhl’s mysterious villain role in Captain America: Civil War has been identified as Baron Zemo. The purple-masked evildoer ranks as one of Captain America’s most notable antagonists, and will follow in the footsteps of Red Skull, Arnim Zola, Winter Soldier and Batroc the Leaper as members of Cap’s cinematic rogues gallery. It’s important to note that in Marvel comics, there are two main Baron Zemos: Heinrich, who fought Captain America during World War II, and Helmut, who took up a life of supervillainy after his father’s death. We don’t know exactly which one Daniel Bruhl will be playing, but it’s worth noting that they are only the latest in a long line of Baron Zemos stretching back centuries. 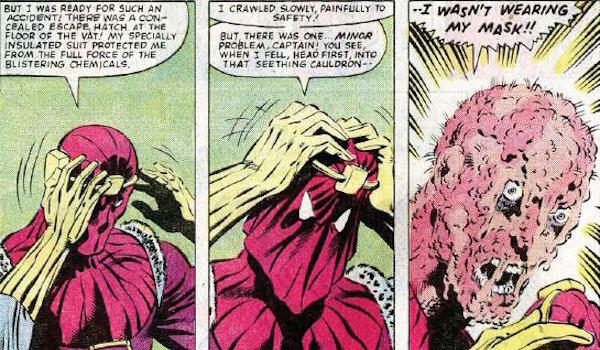 In fact, during the miniseries "Thunderbolts Presents: Zemo - Born Better," Helmut met many of his ancestors when he was thrown back in time by Songbird. Starting in the early 1500s, with each time jump forward, he met another Baron Zemo and almost always got into a confrontation with them. Although these time travel shenanigans will certainly not be included in Captain America: Civil War, hopefully the movie will address the lineage of Zemos that preceded him, showing that his hunger for power is genetic. 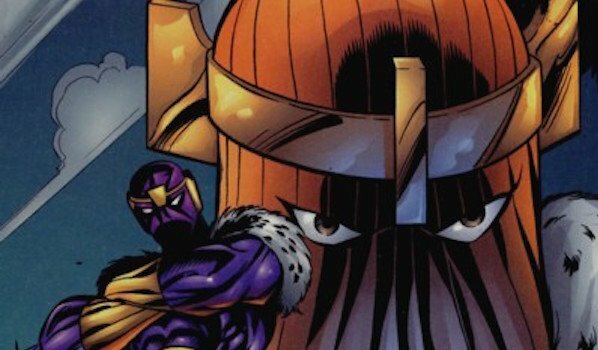 The strange purple mask Baron Zemo is always shown wearing isn’t just used to intimidate enemies. In fact, both Heinrich and Helmut were forced to wear them due to horrible injuries. Heinrich was wearing the mask when Captain America attacked his base during World War II. During the fight, the patriotic hero threw his shield and struck a vat of Adhesive X, a super adhesive Zemo created for the Nazis that could not be dissolved under any circumstances. The chemical fell on Zemo’s face and permanently attached the mask to his face. In Helmut’s case, he fell into a vat of Adhesive X, but simply wears the purple head covering to hide his horrible disfigurement. Superhero films have a habit of not keeping characters wearing face covering masks for too long, so if something happens to Zemo’s face in the film, it will either be towards the end or the scaring won’t be as bad as it is in the comics. During the last months of World War II in Marvel Comics, Captain America and Bucky attacked Baron Zemo’s stronghold to prevent him from launching an experimental aircraft, but they were taken prisoner and tied to the plane, which was set to explode. The duo managed to free themselves, but they didn’t make it off the plane unscathed. Captain America fell into the icy waters below and was frozen for many decades, while Bucky lost his arm and was presumed dead until the present day (where, like in the movies, he would emerge as The Winter Soldier). In the MCU, Steve Rogers was frozen after crashing Red Skull’s aircraft into the Arctic in Captain America: The First Avenger, but if they still wanted to connect Zemo to this, they could mention that the elder Zemo was involved with the Red Skull’s experiments with the Tesseract. 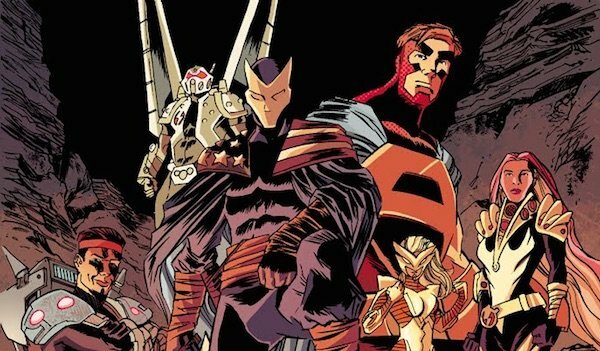 One of the most notable arcs of the last 20 years in Marvel Comics found the villain group known as the Masters of Evil disguise themselves a hero team called The Thunderbolts – and this was all organized under the leadership of Baron Zem. Taking different identities, the supervillains attempted to gain the world’s trust as new superheroes so they could conquer it. Eventually Zemo began to believe his own lie, thinking that the only way he could legitimately save the world was by taking it over. He started to recruit more villains to his cause, and similarly to DC’s Suicide Squad, the Thunderbolts started working for the U.S. government in the aftermath of Civil War (on the request of Tony Stark). Given his status as a primary villain in Captain America: Civil War , however, don’t expect the big screen version of Zemo to immediately appear altruistic - although it would be an interesting twist if he puts together of a team of villains that Tony recruits for his own purposes by the end of the film. As Marvel fans know, it was Bucky Barnes a.k.a. The Winter Soldier who took up the mantle of Captain America after Steve Rogers was "killed" after Civil War. It was at this time that the Helmut version of Baron Zemo discovered that his father’s assassination attempt had failed during World War II, and learned about Bucky’s time as the Soviet Unions’ brainwashed assassin. 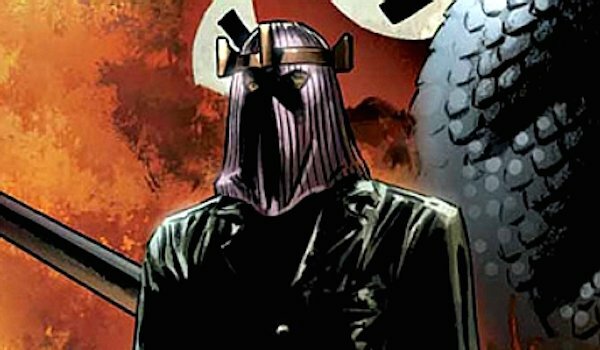 Angered that the new Captain America had earned forgiveness for his crimes so quickly while Zemo was still being scorned despite his good actions in recent years, Zemo leaked evidence of Bucky’s former identity to the media, effectively ruining his reputation. 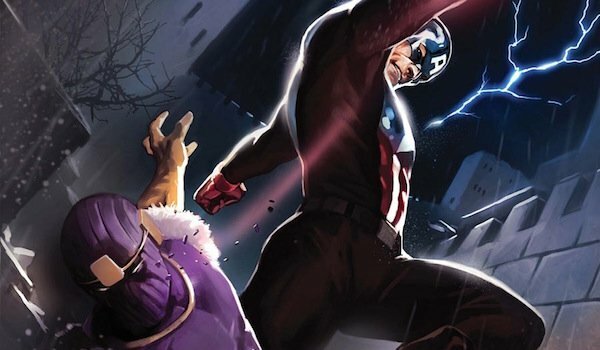 With Winter Soldier set to return for Captain America: Civil War, this version of Zemo may pull the same stunt and attempt to stick it to Captain America by targeting his best friend. If Bucky’s crimes are exposed to the public, this could also be one of the catalysts for the divided between Tony and Steve, as it was shown in Captain America: The Winter Soldier that Bucky killed Stark’s parents.